Almost half of all Russians think that Mikhail Gorbachev has done nothing good for his country and the other half hold that the former Soviet leader had good intentions, but committed a series of major blunders when attempting to put them to action. 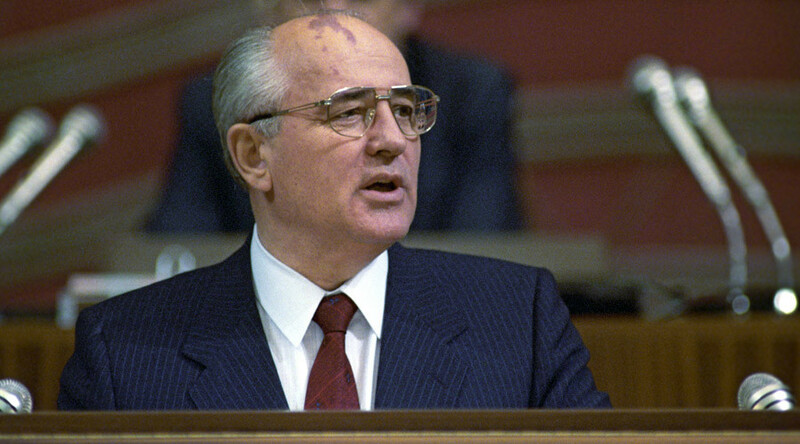 When asked what of Gorbachev’s achievements they considered the most important 47 percent of the public said that they could not relate any achievements with the rule of the last Soviet leader. Another 34 percent said that the question was too difficult to answer. Six percent of respondents praised Gorbachev for ending the Cold War and 5 percent think that Russia owes him for the introduction of democratic freedoms. Many more people agreed to share their opinions about the negative results of Gorbachev’s reforms. Thirty-six percent said that the collapse of the USSR was a disaster that should be blamed primarily on the Soviet president. Another 10 percent of respondents said the reforms had led to a general decline in Russia’s economy and defensive capability. Five percent of modern Russians named the beginning of Perestroika itself as a negative process started by Gorbachev. The attitude to Gorbachev-era anti-alcohol campaign remains controversial to this day – 2 percent of respondents view it as an achievement and 5 percent maintain it was a disaster. The head of VTSIOM’s department of research projects, Mikhail Mamonov, said in comments with news website Gazeta.ru that the attitude to Gorbachev could be explained as most Russians being still upset about the collapse of the USSR and remembering the numerous hardships that were caused by that historic event or coinciding with it. He added that the problems experienced by the Russian economy over the past two years made these memories more vivid and the public sentiments about Gorbachev have become more radical. Gorbachev himself told reporters on Monday this week that he remains faithful to the ideals of Perestroika and still thinks that he had made the right choice when he decided to reform the Soviet Union. “Yes, I was and I am faithful to that idea and to the choices that I had made. I don’t know why it is so, but I would suggest that it is simply how life goes,” RIA Novosti quoted him as saying at the presentation of the book ‘Gorbachev in Life’. Also on Wednesday, President Vladimir Putin sent birthday greetings to Mikhail Gorbachev and wished him good health and all the best. The Russian leader noted in his letter that Gorbachev’s personal qualities and professional skills were still in high demand and contributed a lot to international humanitarian cooperation.